This March, there are two great opportunities to support the Lexington Farmer’s Market. On Saturday, March 6, you can join author Debra Samuels at her home for a Korean Dinner night. Tickets are limited so reserve your seat in advance. 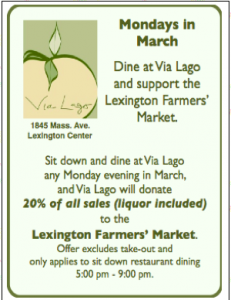 Also, on Mondays in March, dine at Via Lago from 5 to 9pm and 20% of the proceeds will benefit the Lexington Farmer’s Market. Please join me in supporting this great organization. Buon appetito! 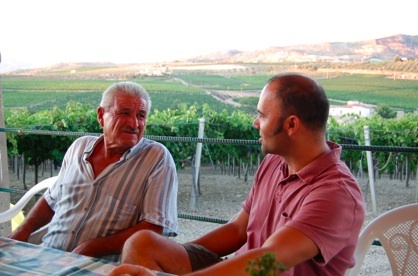 Giuseppe: Thanks for posting these 2 great events on your website.